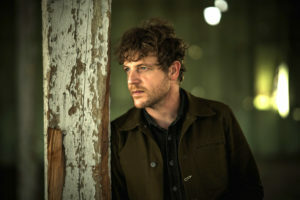 Longtime East Nashville resident Korby Lenker returned to his native Idaho to record his 7th studio album “Thousand Springs.” Eschewing the standard recording studio, Lenker recorded his latest batch of songs in various places important to him as a child – the Snake River Canyon, Craters of the Moon, and in a small cabin north of Sun Valley. Letting the natural landscape set the tone, he recorded during the day and slept in a tent at night. Then, after laying down the guitar and vocal tracks, Korby took to the road, adding more than 30 artists to his dozen songs, including Critter Eldridge, Anthony Da Costa, Carrie Elkin, Angel Snow, Amy Speace, Matt the Electrician, and many others. Korby is the recipient of numerous songwriting awards – most recently a 1st place win at the 2016 Rocky Mountain Folks Festival Songwriters’ contest (past alum include Gregory Alan Isakov and Deb Talan, to name a few). In March, NPR Music premiered the song and video he wrote and performed with Nora Jane Struthers ‘Let’s Just Have Supper.’ Korby tours constantly and has shared the stage with Willie Nelson, Ray Lamontagne, Nickel Creek and many others.